By Jennifer Burcke on May 31, 2012 Visit Jennifer's Website. One of the most difficult decisions involved in the chicken keeping experience is also one of the first to be made. 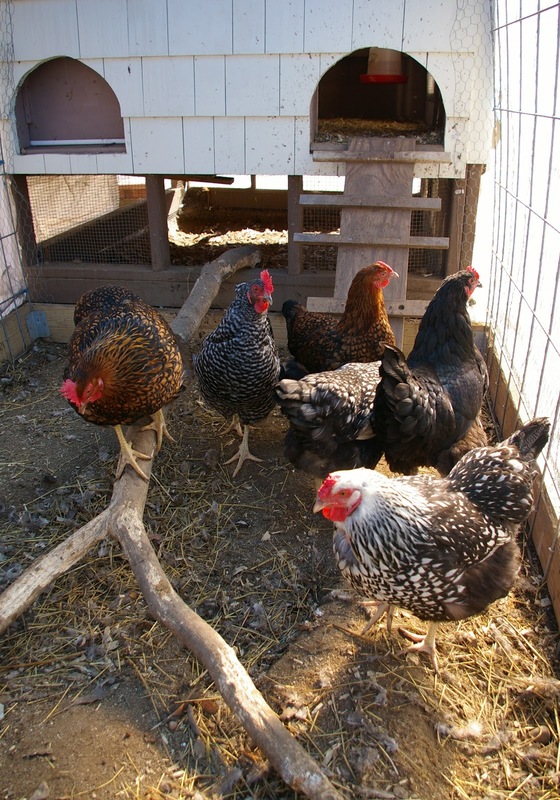 Choosing which breed of chickens to live in your coop is a daunting task. In my last post, I wrote about selecting the best breed for your backyard flock. 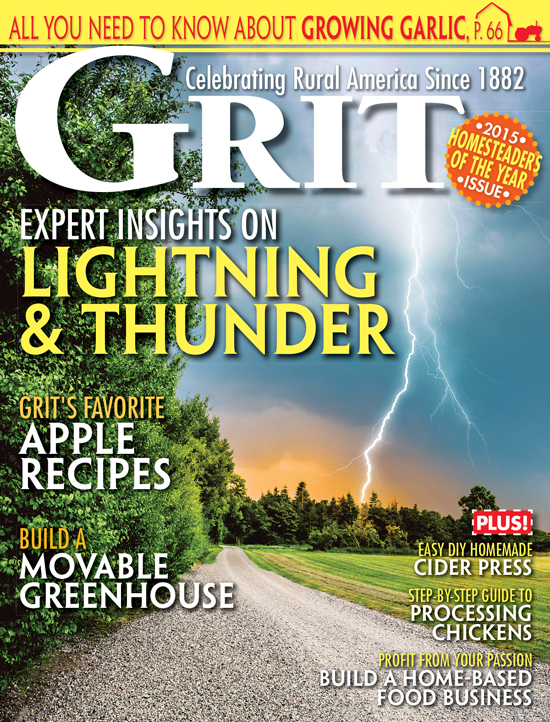 While I don’t have any easy answers, I do have my own selections to share with you. It’s high time that I tell you which breeds we added to our flock this spring. First, it seems necessary to list the breeds that have been living at 1840 Farm since we became chicken keepers in September of 2010. Our coop is currently home to seven heritage breed hens. The queen of the flock is Bertha the Barred Plymouth Rock. She is joined by another Barred Plymouth Rock named Marigold. They share the coop with two Silver Laced Wyandottes named Fawkes and Sally, along with Amelia and Abigail the Golden Laced Wyandottes. 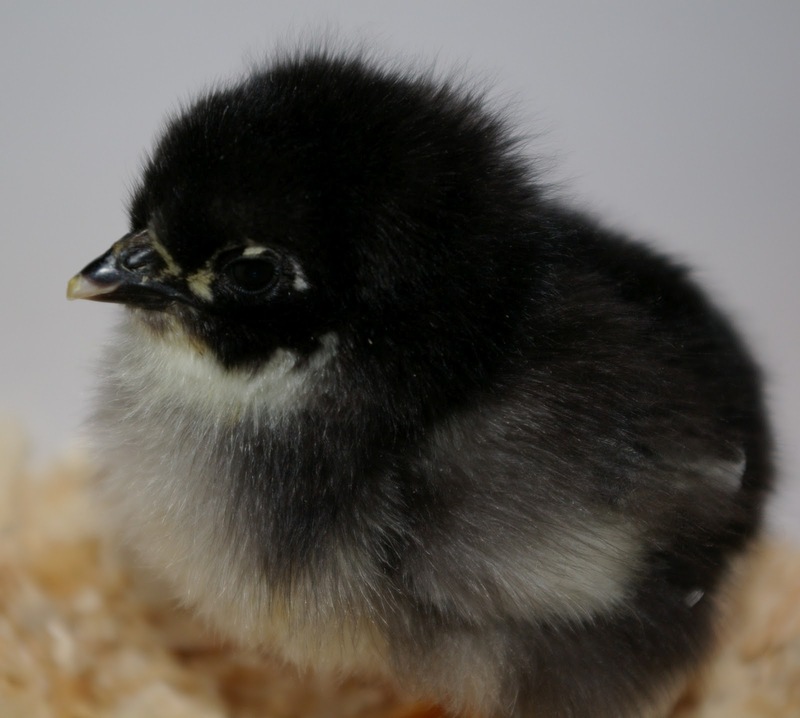 Hedwig the Black Australorp is the comedienne and champion egg layer in the group. 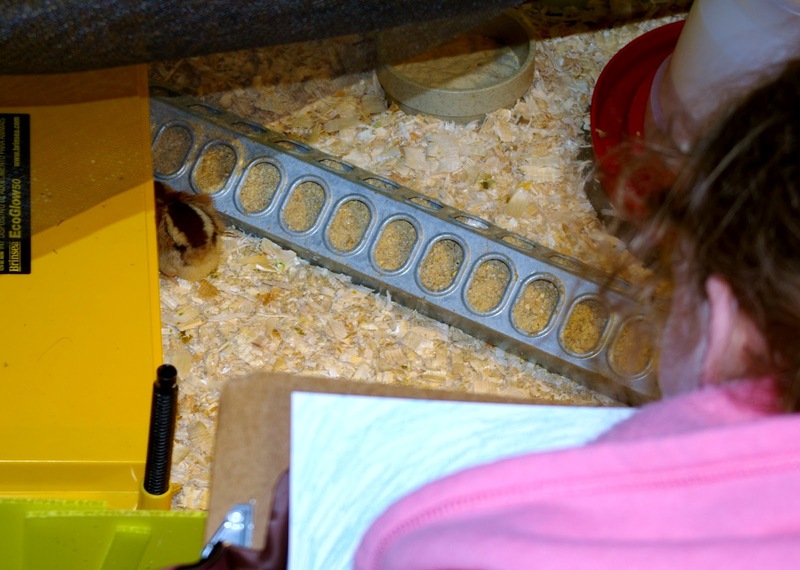 There are ten chicks living in the brooding pen in our barn as I write this. We chose half of them based on their egg-laying capability. The other half were chosen to bring a little feathered beauty to the garden. This spring, we chose to add bantam hens to the scenery at 1840 Farm. First, I’ll start with the standard-size hens. 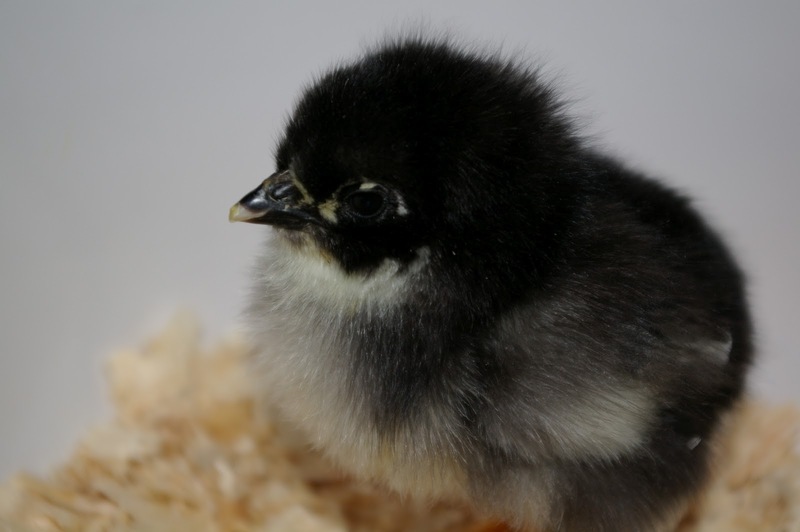 It was an easy decision to add two Black Australorp chicks to our order this year. We have been thrilled with Hedwig’s demeanor and egg production. She is friendly and agreeable, rarely arguing with her coop mates. Hedwig reliably leaves us an egg almost daily. She has yet to exhibit any signs of broodiness. We’re hoping that the two Australorp chicks will bring more of the same to our coop. The Dominique breed was chosen due to its history. However, the history of this regal breed is not completely clear. As soon as I read an account of the breed coming to the New World with the Pilgrims, I would find a conflicting story. After reading several cases for and against, I can’t definitively declare that the Dominique was on the Mayflower when it made land in Massachusetts in 1620. That being said, I don’t have any trouble believing that the Dominique was a common sight on New England Farms around the time that our farm was first built. From what I have read, the first written account of the breed was made in 1862. I’m willing to bet that Dominique hens were providing eggs for New Englanders long before that. I chose a Welsummer chick for different reasons. First, I thought that the hens and roosters of the breed were beautiful. I’m not alone in this belief. A Welsummer rooster has been gracing the front of the Cornflakes box since 1957.The Welsummer’s plumage wasn’t the only appeal for me. I knew that adding a Welsummer to the coop meant the promise of finding dark terracotta colored eggs waiting for me in the nest box. I have always wanted a breed that produces dark-tinted eggs, so the Welsummer became a perfect choice. The bantams were chosen to satisfy my curiosity. I read a great deal about chickens, including profiles of specific breeds. Every time I came across a mention of bantams, the author spoke about their lovely disposition, their beauty and their friendliness. Most of all, I continued to read that they were a perfect match for children. After I had encountered that opinion several times, I knew that we needed to make room on our farm for a few bantam hens. I understood that they would not bring high egg productivity to our farm, but I was willing to accept that. I was looking for these hens to have a much bigger task: helping to hold the attention and interest of my two children. I’m trying to raise two chicken keepers, and I’ll use whatever means necessary to ensure that they remain involved in the raising of our hens. If a few fluffy chickens can help me meet that goal, then so be it. 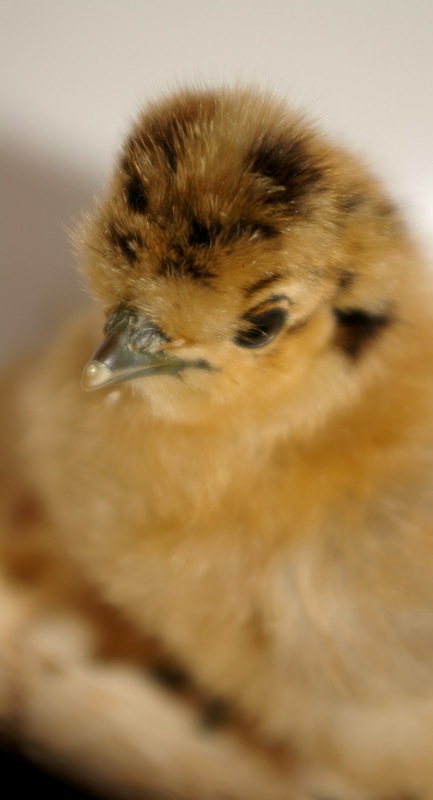 Enter the two bantam Silkie chicks. My children carefully selected the Buff Silkie and Black Silkie when we were placing our order for day-old chicks. The Buff Silkie is a showstopper. 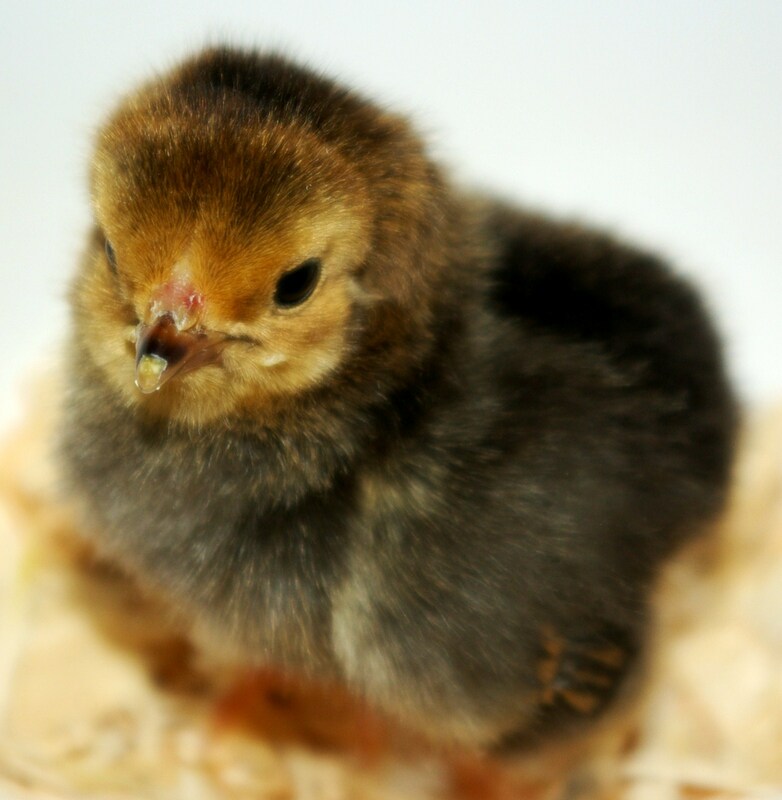 The combination of dark markings on her head and the emerging silky feathers make her one of the cutest chicks in our brooding pen. She is outgoing and very vocal. I can see that she will be demanding attention from anyone passing by the coop once she is fully grown. 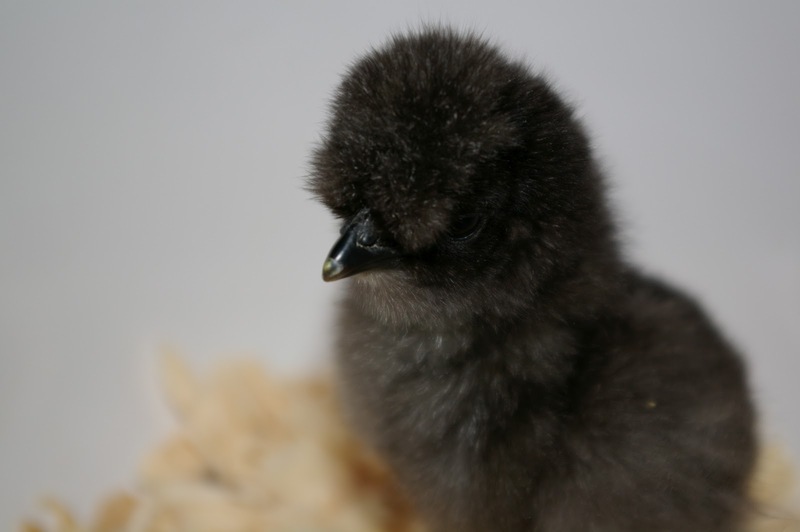 The Black Silkie is the smallest of our bantam chicks. Her feathers are so fluffy that she resembles a black cotton ball. She is quiet and tends to shy away from any sort of confrontation with the other girls. She has the makings of a fantastic lap chicken. I’m quite sure that my children will be happy to oblige. My daughter was quick to choose a Mille Fleur d’Uccle bantam when researching breeds of bantam hens. I couldn’t blame her: They were strikingly beautiful. It didn’t take long for me to follow suit and add a chick of this breed to our order. A Mille Fleur’s feathers are amazing. It is easy to see why their name literally translates in French to “thousand flowers.” I look forward to the day when we can watch our bearded and booted Mille Fleur d’Uccle hen happily scratching in our empty garden beds. 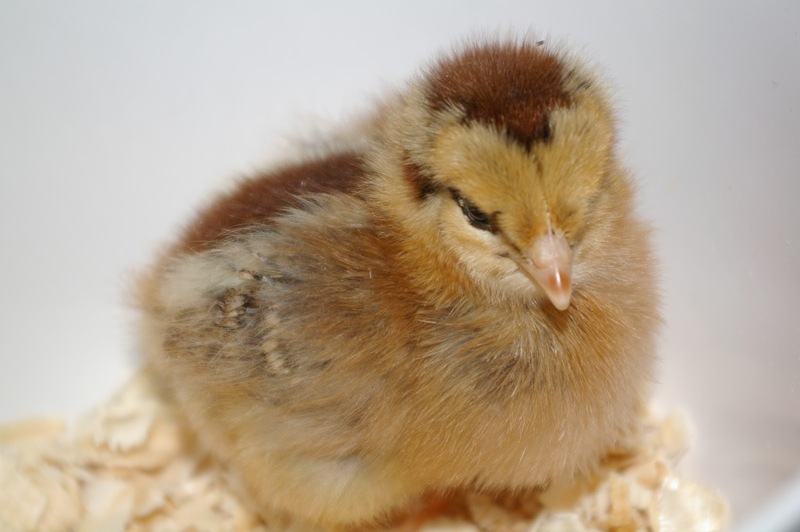 Last, but certainly not least, were the two Mottled Cochin bantam chicks. 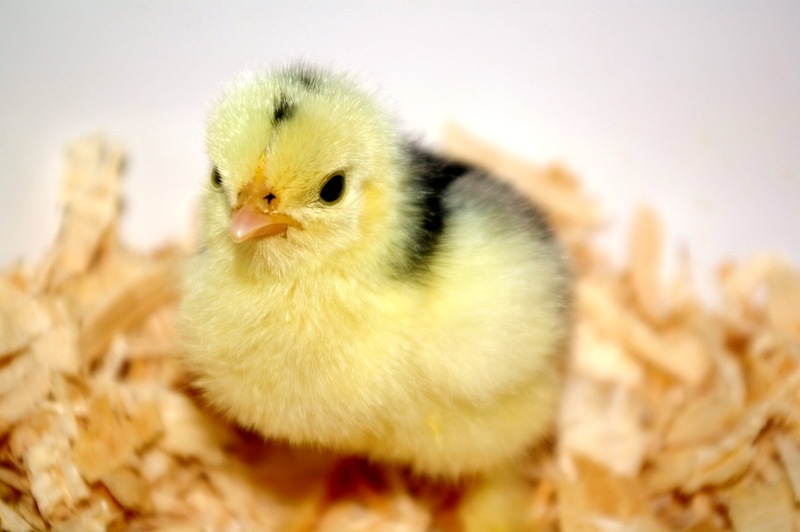 As chicks, they have us marveling at their beautiful creamy yellow feathers. 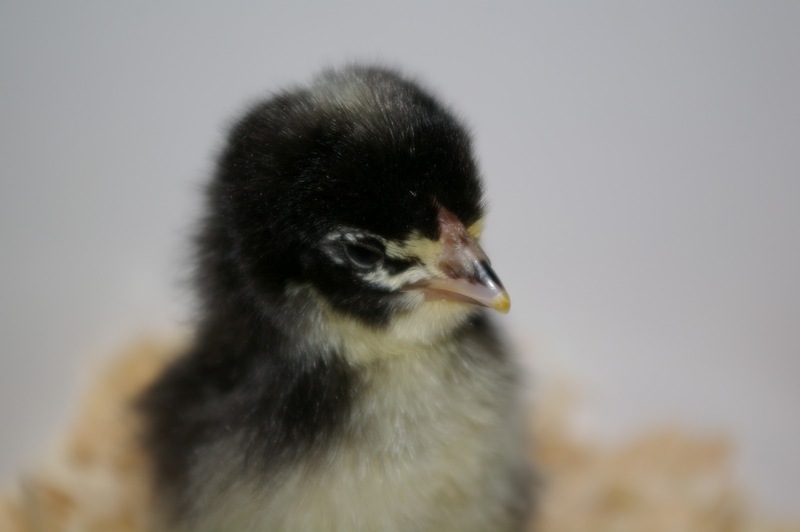 We know that the buttery yellow color will pass in favor of the mottled pattern that gives their breed its name.As adults, they will display the black and white feathers of their breed. Today, they are adorable and comical, chasing each other around the brooding pen. Their white wing feathers are just starting to appear and their appearance changes dramatically each day. Watching these baby chicks develop into the hens that will provide our family with eggs and garden entertainment is a joy. They have been entertaining us since they arrived, and I don’t imagine that changing any time soon. Witnessing my children grow up along with them is an experience I will always cherish. Each time my children remark in amazement at how quickly these chicks are growing up, I nod in agreement … knowing that I feel the same way about them. These chicks won’t be babies forever, just as the youngest generation living at 1840 Farm won’t be children forever. It’s simply the way of nature. I’ll continue to enjoy the youth that brings our farm to life for as long as it lasts. I’ll look forward to proudly seeing the adolescents that will develop alongside each other. I’ll be keeping my fingers crossed that our youngest generation will be chicken keepers for a long time to come.